Dr. Tony Campolo says that he can give you one simple tool that will make your marriage better, no matter how you’re doing right now. Imagine what it would look like if you and your spouse were really, truly in love. Imagine what it would look like if you weren’t fighting and it was like the best times you’ve ever had—or even the best times you never had. Then think about this and answer a question: in your imagined scenario, what were ten things you did (not your spouse, but you!) every day that you’re not doing now? Dr. Campolo’s advice is simple: whatever those ten things are—do them! This is good advice. It follows the model of Jesus. “So whatever you wish that others would do to you, do also to them.” (Matthew 7:12). Here’s some real good news: this prescription doesn’t work only in marriages. It works in all of our relationships. Trouble with the kids? How would you act if you had a great relationship with them? Do it! Irritating boss? Act like he isn’t. Want one more application? Are you having trouble with your faith? I’m not asking you to be a fraud; I’m asking you to live into the instructions of Jesus, and see if things don’t work out. On Thursday, Dr. Kent Brantly made the news by doing the last thing most people expected him to do: walking out of a hospital. If you haven’t followed the story, Dr. Brantly contracted the Ebola virus while doing humanitarian mission work in Liberia. Ebola is a strange and deadly virus, with an estimated fatality rate of 50-90%. There is no known cure. Dr. Brantly was perhaps the first human to receive an experimental drug. Researchers don’t know what (if any) impact that treatment had on his recovery. The drama of this story is incredible. A man, moved by his faith, intentionally goes to the sickest people in the world. In the course of his service, he contracts what they had and is handed what amounts to a death sentence, but by the grace of God, the sentence was commuted. What would you do if your doctor told you that you were going to die in 2-4 weeks? What would you do if after 4 weeks, you found out he was wrong? When Brantly was released, he went to spend time with his family. I’m guessing that catching up on paperwork at the office didn’t seem so important, anymore. I don’t think he rushed home to make sure the grass had been cut. I suspect that he wasn’t in a hurry to catch up on his favorite TV shows. I think that he wanted to be with the ones he loved. Life is temporary. A church down the road had a true sign: “You are one heartbeat from eternity.” So here’s my question: are you where you want to be? Make sure you’re spending the time you have doing what matters. This book review is WAY late…but I hope it’s better late than never! 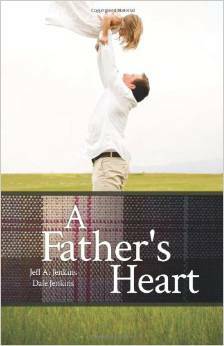 Dale Jenkins has put together several books that are designed to encourage. A Minister’s Heart and A Youth Minister’s Heart would make great gifts for anyone you know in ministry, or even as a “peek behind the curtain” before someone gets into ministry. If memory serves, the first book (Minister’s Heart) originated in a chapel talk that Dale was putting together for ministry students. It walks through the ups and downs of ministry. You’ll laugh on some pages, get angry on some pages, and want to cry on some pages. A Father’s Heart and A Mother’s Heart follow this same pattern. They’re short gift books with a thought and an illustration on each page. These books would make mother’s day or father’s day gifts—or maybe even a great joint gift for expectant first-time parents. It’s hard to know how to review these except to say that they were designed to be encouraging, and they accomplish just that. With all of the discouraging junk going on in the world, you’ll be glad that you spent time with these. The books are available on Amazon, but check with The Jenkins Institute to order in bulk. If you’ve seen any news reports this week, you’ve heard about what’s going in on Ferguson, MO. We may never know all of the details about what happened when a police officer shot an unarmed man. Some claim he was complying; others say he was trying to take the officer’s weapon to use it against him. Some see racism; others say it was a split-second life-or-death decision made by an officer in the heat of the moment. The aftermath is awful. It seems like everyone has gone crazy. The community hasn’t acted reasonably—looting, rioting, destroying private property, and threatening the lives of the officer and his family. The police haven’t acted reasonably—firing tear gas at the press who were reporting on the situation. Nobody seems to know who or what is in control. This unreasonable reaction has created a cycle: the crowds get agitated, the police intensify the situation, the crowd gets angrier, so police make threats, the crowd makes threats…and it just kept getting worse. There’s plenty of blame to pass around in this story. It seems like nobody has done right, and everybody has used the actions of the other side as their excuse to do wrong. Did you notice something? This is the exact way that the world tends to operate. “If you treat me wrong, I’ll treat you wrong-er!” But what did Jesus say? If someone slaps you on one cheek, turn to him the other. The world’s way clearly hasn’t worked! I like how Calvin Miller puts it. He said that “an eye for an eye and a tooth for a tooth” is fair and just, but it’s the shortest, most direct route to an eye-less, tooth-less world. Maybe it’s time to try the Jesus way. When I opened up the news on Friday morning, I saw a headline that said something like “First Peaceful Night in Ferguson.” I clicked on the story and what I saw could preach a sermon. On Thursday night, the Governor installed Captain Johnson, a Highway Patrol officer, to take control of the scene. Rather than showing up in riot gear and a Humvee (which sounds pretty reasonable to me! ), he showed up in the standard traffic cop uniform—a dress shirt and badge. Rather than putting a shield between him and the crowd, he walked among the crowd, talked, listened, hugged, and even took selfies with protestors. He spoke with them, saying, “In our anger, we have to make sure that we don’t burn down our own house.” Did I mention that Captain Johnson grew up in the area? Think about this: what calmed high tensions and brought peace to Ferguson was not weaponry that was so powerful that it could intimidate the crowd into silence. It took someone stepping from their realm of safety into a dangerous, different world. He left comfort and ease to go to the people who hated him and the people like him. He became like those people and loved those people despite the risk. I don’t know anything about Captain Johnson, but what he did on Thursday night sounds like what Jesus would do if he were in Ferguson, MO. I’m more convinced with each passing day that the Jesus way really works. Will you try it? Ralph Waldo Emerson once asked what we would do if the stars came out only once every thousand years. No one would sleep that night, of course! We would be ecstatic, delirious, made rapturous by the glory of God. But instead, the stars come out every night and we watch television. When the extraordinary becomes ordinary, we tend to take it for granted. 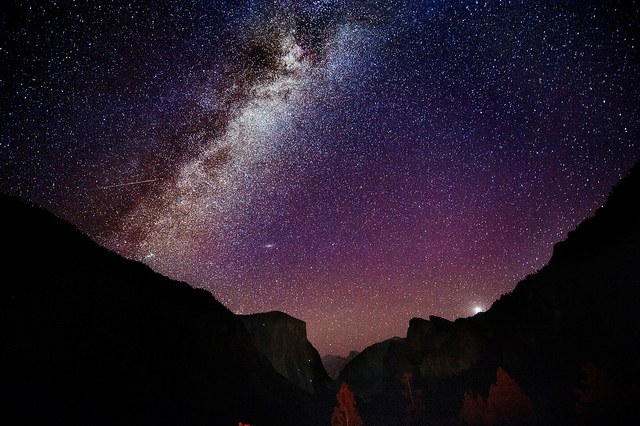 The stars can’t be the only extraordinary opportunity that has become ordinary. What about our weekly celebration of the Lord’s Supper? It is certainly possible that we can forget just what a beautiful and powerful celebration it is. What about the opportunities we have to meet as a church? As I watch the news and see stories of ISIS and other militant groups attempting to ban Christianity in their realms, I wonder if we would see our opportunities to worship and study as more valuable if they were threatened. What about all of the opportunities that we have to make a difference in this life and in the next? We have so many chances to help people, sometimes we forget what an incredible privilege it is to walk beside someone in a difficult time and place, and help get them to somewhere better. What about your friends and your family? It isn’t hard to treat them like they’ll always be here…but we all know that just isn’t true. The Bible describes life as a mist or a vapor. It’s ephemeral. A temporary blessing. Ephesians tells us to walk while we have light. Let’s take advantage of these opportunities and do the best we can with what God is giving us.